It is a well attested fact that there was no such thing as a Mass versus populum in antiquity, as all liturgies were done facing East in anticipation of the Second Coming of the Lord. In those situations where, for geographic or architectural reasons, the church building has to be constructed facing some other direction in which the priest celebrated Mass from behind the altar, there was still no real versus populum Mass, as all the congregation would have turned and faced the East during the Canon, so that priest and people were still oriented in the same direction. Thus, even if certain antique churches of Rome appear to have designs facilitating versus populum liturgies (as do most modern churches with altars removed from the wall), we must remember that the faithful, too, would turn to face East along with the priest. If there were circumstances where the priest and the faithful were facing each other, as at the homily, it was certainly not for the purpose of seeing the Eucharist as some sort of "communal meal" or celebration of the community; this would have been the last thing the Fathers would have cared about. Since, therefore, God is spiritual light, and Christ is called in the Scriptures Sun of Righteousness and Dayspring, the East is the direction that must be assigned to His worship. For everything good must be assigned to Him from Whom every good thing arises. Indeed the divine David also says, "Sing unto God, you kingdoms of the earth: O sing praises unto the Lord: to Him that rides upon the Heavens of heavens towards the East. Moreover the Scripture also says, "And God planted a garden eastward in Eden; and there He put the man whom He had formed:" and when he had transgressed His command He expelled him and made him to dwell over against the delights of Paradise, which clearly is the West. So, then, we worship God seeking and striving after our old fatherland. Moreover the tent of Moses had its veil and mercy seat towards the East. Also the tribe of Judah as the most precious pitched their camp on the East. 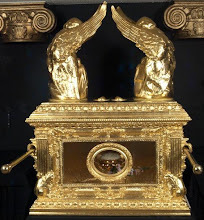 Also in the celebrated temple of Solomon the Gate of the Lord was placed eastward. 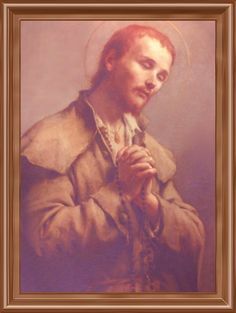 Moreover Christ, when He hung on the Cross, had His face turned towards the West, and so we worship, striving after Him. And when He was received again into Heaven He was borne towards the East, and thus His apostles worship Him, and thus He will come again in the way in which they beheld Him going towards Heaven; as the Lord Himself said, "As the lightning comes out of the East and shines even unto the West, so also shall the coming of the Son of Man be." So, then, in expectation of His coming we worship towards the East. But this tradition of the apostles is unwritten. For much that has been handed down to us by tradition is unwritten (De Fide Orthodoxa, IV. 12). The two points of interest here are, first, that Luther sees a celebration "facing the people" as much more in keeping with his teaching on the Mass than the traditional ad orientam orientation, but second, that he supports this opinion by appealing to the seating arrangement at the Last Supper, where Christ "without doubt" also faced the people. Here we have an excellent example of archaeologism, the practice of throwing out long-standing liturgical traditions in favor of a return to some presumed apostolic simplicity. 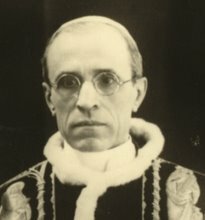 Archaeologism is, of course, fallacious, as Pope Pius XII pointed out in Mediator Dei, because it denies the Providential guiding of the Church by the Holy Spirit in traditional developments for the simplicity of the early Church. In Mediator Dei, the Pope stated that "it is neither wise nor laudable to reduce everything to antiquity by every possible device" (MD, 62). 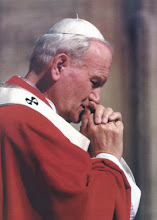 It was in this vein that Newman made his famous statement in his Essay on the Development of Christian Doctrine: "They are ever hunting for a fabulous, primitive simplicity; we repose in Catholic fullness" (Part II, Chap. viii, Sect.12). But, for the sake of this argument, we should also mention that archaeologism fails on another account: that it is rarely accurate in its descriptions of what is and is not "apostolic." Communion in the hand, deaconesses, vernacular liturgies, Masses facing the people and a whole mess of modern innovations are said to be of apostolic origin when in fact none of them are found in the primitive Church (or if there are traces of them, as in the case of altars removed from the wall, the modern liturgists completely miss the point as to why this was the case). We will see that this is indeed the case with Luther's assertion that Jesus ate the Last Supper facing His disciples and that ergo Mass should be versus populum because of this. Where did Luther get his idea about how the Last Supper was eaten? Since the New Testament itself offers scant evidence, it was probably from contemporary, Renaissance era depictions that Luther formed his opinion, works like Da Vinci's famous "Last Supper." Renaissance depictions, for concerns of symmetry, perspective and establishing a focal point, invariably positioned our Lord at the center of the scene, but this was for artistic reasons rather than out of care for historical accuracy. Luther, along with many since, have taken these famous depictions to reflect what actually occurred. The form endured in the East much longer than the West, perhaps because the Byzantine Empire preserved many of the cultural customs of the ancient world longer more intact than the Latin west. 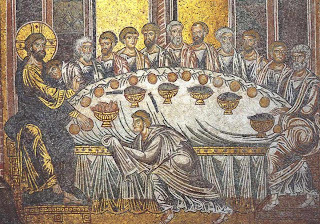 In the west, the advent of the Renaissance in the early 14th century, with its emphasis on technique, symmetry, proportion and perspective, altered the manner in which the Last Supper was depicted. Seeking symmetry and focus, the Italian artists inevitably put Christ at the center; the only way to realistically depict twelve apostles seated around the Lord was to elongate the table into a very long rectangular structure, as in Da Vinci's version. 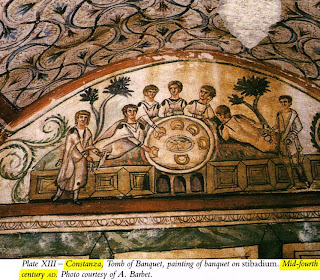 Though Christ had occasionally been put at the center Last Supper depictions even in the early Church (here and here, for example), it was not until the Renaissance that this became the norm. To bring this back to Luther and the Mass, those who want to move the altar out into the congregation to attain a more "table-like" arrangement and cite the Last Supper as a justification are in error. In the first place, all of Christ's disciples would not have been gathered around him, but were in a semicircular line, one next to the other. Furthermore, they were not "facing" Christ, nor He them, but they would have had to turn slightly at a 90° angle to look at Him as He spoke. But then again, those who make such arguments don't really care what the early Church did or why she did it; like Luther, they are merely concerned with adopting the liturgy to suit modern ideas about what the Eucharist and the Church are. 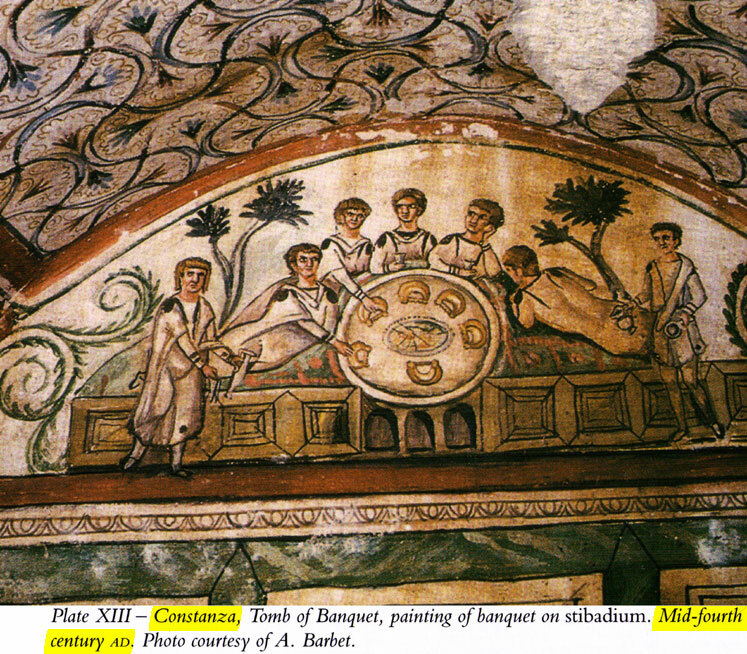 Rather than try to force a return to a past that never was, or revert back to a Semitic dinner seating arrangement that would be impractical for large liturgical gatherings such as the Mass, it is best to simply stick with the Tradition of the Church, not as it was frozen in time at the year 100, but as it developed through the ages and came down to us: with priest and people facing the Lord, showing forth the sacrificial nature of the Mass in anticipation of His glorious return. 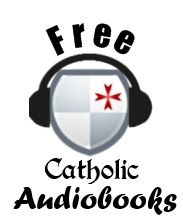 Click here for a related post by Anselm on the Holy Father's theology of the liturgy and how the Last Supper is abused by modern liturgists. Also, the disciples at the last Supper were basically ordained at that moment. Essentially making them clergy. Therefore even if the Apostles sat in a manner the Moderns claim they did the argument still fails as they are not laity. 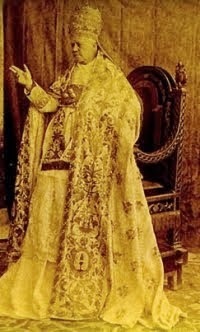 "The early Christians, whose intimacy with Christ we have examined, “broke bread from house to house”. It is almost certain that there was no incensing, ornate vestments, elaborate altars, statuary, developed chant, magnificent architectural monuments, etc. There certainly was a distinct order, comprised by scripture readings, sermon, prayers for the people, kiss of peace, offering of bread and wine and thanksgiving, consecration of the bread and wine, intercessions, etc., all very much reflected in our Mass. But as Adrian Fortescue (highly respected in Traditionalist circles) states in his article on the Liturgy in the Catholic Encyclopedia (1910), even as late as the fourth century the Roman Rite “had practically no ritual beyond the most necessary actions”. And yet it was the “breaking of bread…in simplicity of heart”, and the “great grace” which was received in the hearts of these first Christians, which produced the charity, massive conversions, and miracles which confront our own poverty in this regard. 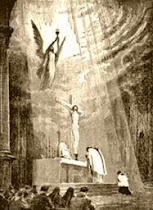 The question needs to be asked as to what extent the evolution of the form of the Mass into “the most beautiful thing this side of heaven” masked an historical process in which the collective Christian heart (with many exceptions) drew further and further away from the immediacy and simplicity of Christ, and in so doing violated the deepest reality of Christ’s Sacrifice. 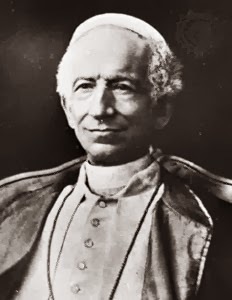 The deep divisions which now exist in the Traditionalist movement would seem ample evidence of this decay, to say nothing of the extraordinary lack of unity in truth which exists under the reign of the New Mass." Hmmm...while I can see that this could be the foundation for an archaeologist argument, I do not think this statement itself is archaeologist. 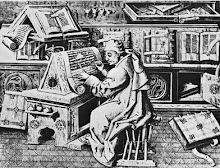 For something to be archaeologism (in my opinion), it is not sufficient to assert that an earlier form was better (I myself can offer many examples of things in the Church that I think were better earlier on) - but I think it has to assert that it is better merely for being earlier, and that this holds as a general rule. But that's just my opinion.